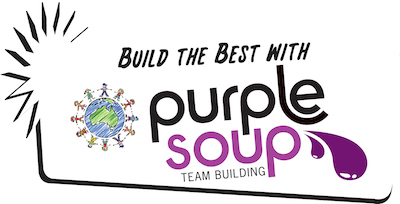 Purple Soup’s Billy Cart Grand Prix is an adventure therapy program that will get the members of your organisation working as a high-functioning, collaborative unit as they work against the clock in a high-speed, adrenalin-charged environment. In this challenge, your organisation’s members will form competing pit crews to plan, build and race a Billy Cart – all within a limited time frame and with a limited budget. Communication and collaboration are critical as the pit crews race each other to build a Billy Cart that will qualify them to race and vie for pole position. Only one team will cross the line first to stand on the winner’s podium! This is a adventure therapy program that will exhilarate and develop your organisation – both as individuals and as team players.